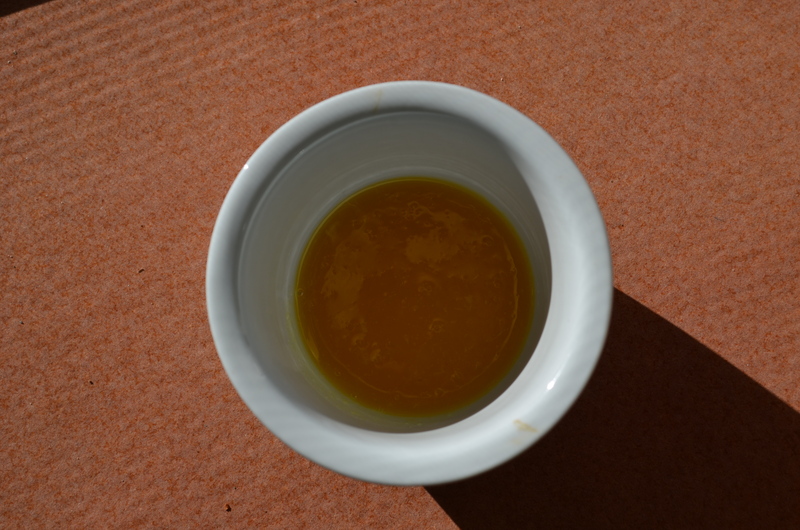 The mixture is thicker than regular vinegar, but this is not a disadvantage when making salad dressings. The orange flavor is quite pronounced and fresher than the original, but the clean cutting properties of the vinegar are preserved. Although I figured this as an alternative to vinegar for salad dressings, it would work really well as a dip for bread cubes, too, much as you get balsamic vinegar and olive oil in fancy Italian restaurants … though you’d have to double or triple the recipe! Makes about 2-3 tbsp of ‘vinegar’. Boil up the orange juice in a small saucepan for about 5 minutes until reduced to about 2 tbsp in volume and thick enough to leave a trail when the spatula is dragged through it. Allow to cool slightly, then stir in the white salad vinegar. Use within a day or two in salad dressings and such like. Making the most of the vestiges of the summer, I wanted to get at least one more salad related blog written before hotter dishes are required. Traditional Caesar salad contains both cheese and anchovies, neither of which I will eat. This version is slightly cheesy, and very garlicky. It is not for the faint of heart nor for delicately flavored salads …. by which I mean, I like it just served with crispy lettuce leaves (Romaine or cos) to dip in it, and both girls gave me the thumbs up, when I gave it to them on baked potato. If you are a lover of garlic as I am, you can use large cloves of garlic; if you have to be sociable the day after, try smaller cloves …. 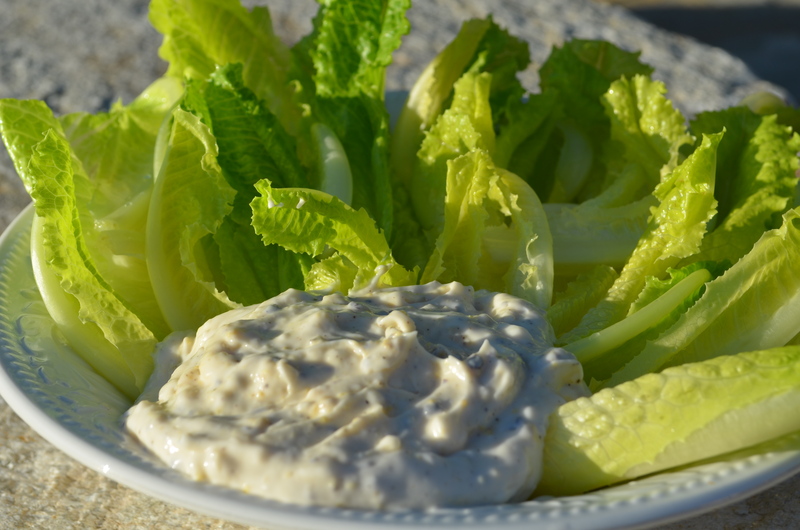 and if you want to drizzle the dressing over shredded lettuce and cubes of fried GF bread, slacken the dressing off with a tablespoon of rice milk first. Stir all ingredients together with a non-metal utensil, and use immediately. This is the standard salad dressing in our household. I sometimes adjust it with 1/2 tsp honey mustard, but since we haven’t got fed-up with it, I’ve not bothered to change it. These days, I tend to double up the quantities and make it in my small blender (Magic Bullet), and then store the unused amount in the fridge for the next day. The Orange Muscat Champagne Vinegar I use comes from Trader Joes, but if you can’t get hold of it, then white balsamic vinegar mixed with a good squeeze of orange juice will do instead. 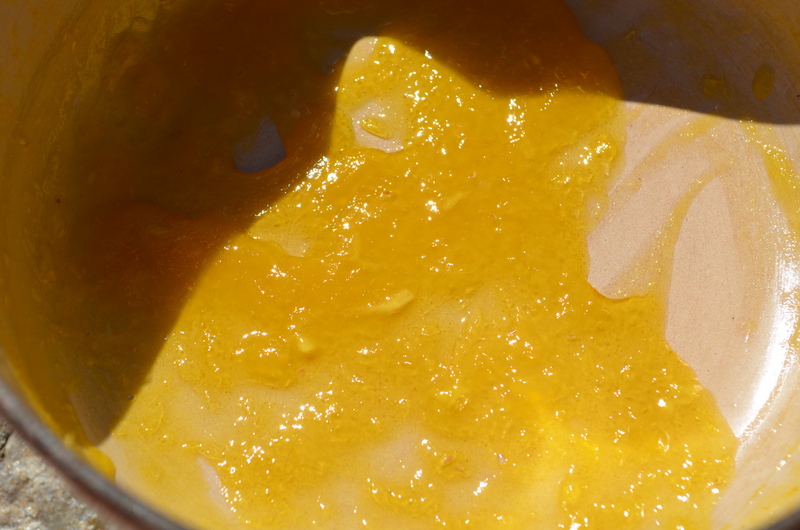 Whisk together the olive oil and vinegar with a fork (or in a small blender) until emulsified. Whisk in the remaining ingredients. This vinaigrette is great for bean salads as the beans seem to benefit from the sweet lift.